The appeal of Hvar's praised gastronomy lies in the unique fusion of traditional recipes, the simplicity of preparation while using organically grown groceries and freshly caught fish with the modern principles of service and professionalism. 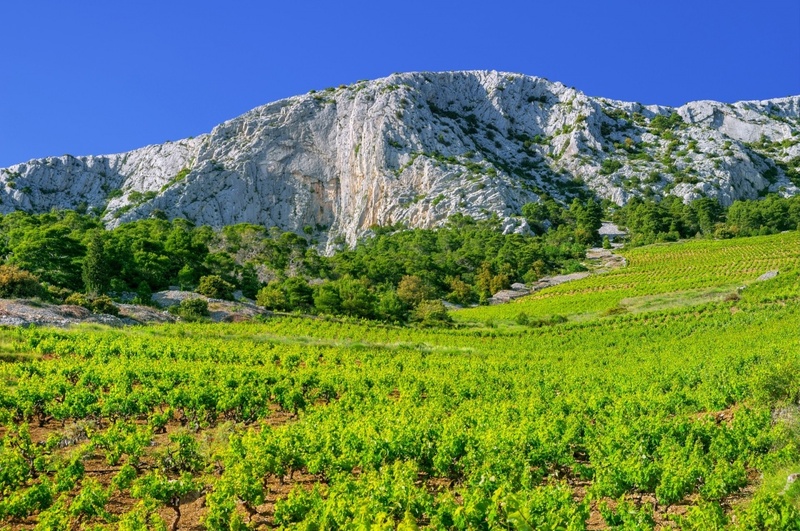 The Island of Hvar is famous for its numerous olive groves and vineyards where some of the best Croatian wines sorts and olive oils are being produced. Those parcels are protected by the UNESCO as the oldest continuously cultivated agricultural plain in the world. The highly praised and indigenous wine sort of Hvar is red wine Plavac Mali. It is unanimously admired by wine enthusiasts from all over the globe. It can be tasted, among other quality wines, in one of Hvar's numerous wine cellars. Numerous restaurants and taverns of Hvar are offering a wide range of specialties, but it is highly recommended that you try some of the local dishes. The simplicity of preparation combined with the richness of flavors, the extensive usage of aromatic herbs and olive oil will excite all your senses and capture your heart. And those wonderful fish, seafood and meat specialties will favor your health as well, since the traditional Mediterranean principles of food preparation have been recognized as one of the healthiest cuisines in the world. Try fish brodetto, traditional Hvar “gregada”, octopus baked under a baking lid (“peka”), black risotto (cuttlefish risotto), spider crab salad or lobster with capers and olives. And if you are more of a meat person, be sure not to miss a taste of pasticada (Dalmatian beef stew), artichokes boiled with beans and peas, grilled lamb meat, prosciutto or a homemade goat cheese with aromatic herbs. And for the desert, try tasty and unique gingerbread of Stari Grad, the traditional almond and carob cake, sugared almonds and local pastries: “cviti” and “pasurate”. As far as restaurants go, the Island of Hvar, as a modern and respectable tourist resort, offers a wide range of eating venues. Of course, restaurants and taverns serving traditional Dalmatian dishes and fish specialties are most common, but you can also visit a steak house Dalmatino or a sushi bar Pirate in Hvar. For vegetarians and organic food lovers, there is a lovely venue in the inland, the Kokot tavern in Dol settlement. If you wish to run away from the noisy tourist crowds and have your meal in the peaceful quietness of fresh mountain air and romantic surrounding of the old, stone covered houses, visit Stari Komin tavern in a deserted settlement of Malo Grablje, where you can enjoy Dalmatian specialties and game dishes. And for a more luxurious gastronomic experience, visit Giaxa at Hvar. It is a fish and seafood restaurant situated in a beautiful Gothic palace. Lucillus restaurant at Hvar serves traditional dishes masterfully fused with modern culinary principles. Antika restaurant in Stari Grad ensures a romantic atmosphere with excellent fish and seafood dishes. And to round your perfect meal, visit Hvar's best patisserie, Nonica, and enjoy some of the traditional pastries and a cup truly excellent espresso.